More than 11% of children and 4.4% of adults in the United States are living with a diagnosis of Attention Deficit Disorder (ADD) or Attention Deficit Hyperactivity Disorder (ADHD). However, many do not know what the difference is between the two disorders and how this affects their treatment options. To put it simply, ADD is the old name for what is now commonly known as ADHD. 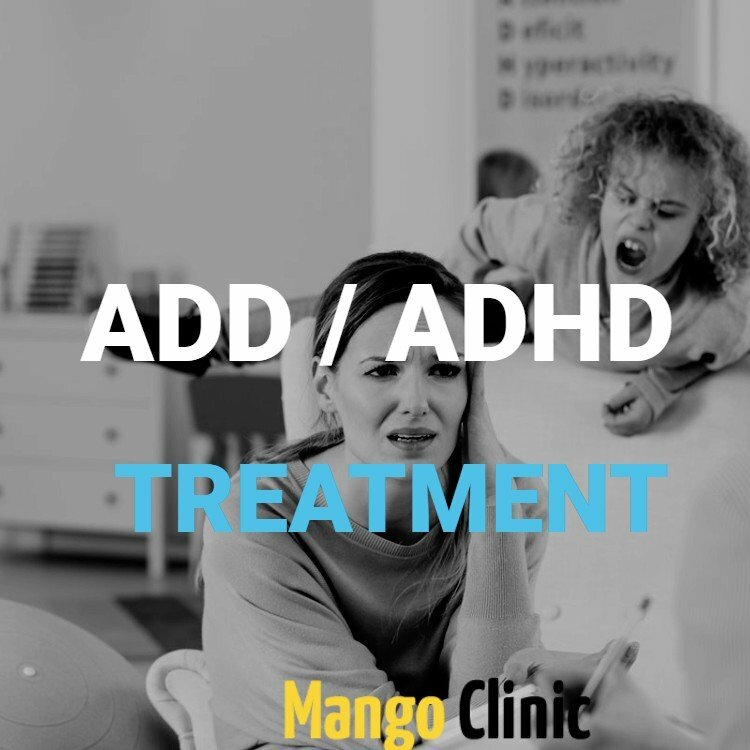 Though it is now the official medical term for the condition, many of those with ADHD do not have the ‘hyperactivity’ that is stated right in the name. Though ADD and ADHD do not actually refer to two separate disorders, it is important to recognize that there are different types of ADHD that present with a variety of symptoms. Some of these symptoms, such as spaceyness or mean outbursts, are sometimes not easily recognizable as being part of ADHD. The DSM-V recognizes three different types of ADHD: Primarily Inattentive, Primarily Hyperactive-Impulsive, or Combined. Those with Inattentive ADHD tend to have trouble sustaining attention, seem not to listen when spoken to, avoid tasks that require sustained effort, and often lose things they need to complete a task. More girls and women are diagnosed with this type of ADHD than boys or men. Primarily Hyperactive-Impulsive ADHD sufferers are fidgety, talk excessively, have difficulty playing with others, often interrupt, and have trouble sitting still. This is usually the type we think of when we consider a boy or even an adult having ADHD. Combined ADHD is diagnosed when at least six symptoms from Inattentive and from Hyperactive-Impulsive are present. Though many in the healthcare profession use the three types of ADHD to diagnose and treat their patients, more research has proves that there are actually seven different types of ADHD, all with slightly different symptoms. These range from Temporal Lobe ADHD, which is characterized by memory or learning problems as well as aggression or paranoia; Anxious ADHD which presents as chronic stress or tension along with stomach problems and headaches; and Over-Focused ADHD, which has symptoms of repetitive thoughts, resistance to change, and difficulty shifting attention when needed. 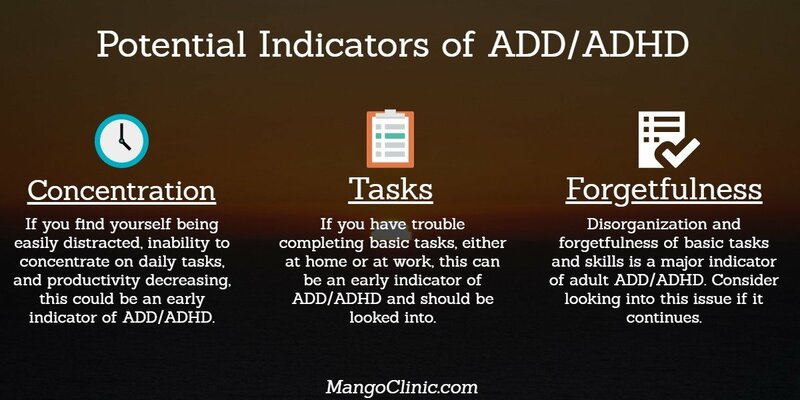 If you or your loved one has ADHD, it’s crucial to know which type you suffer from so you can get the proper treatment. While stimulants can effectively treat the classic types of ADHD, it can actually have a negative effect on those with Over-Focused or Anxious ADHD. Anti-depressants may prove effective for treating Over-Focused ADHD, but could have little effect in Inattentive or Classic ADHD. In addition, a low carbohydrate diet can help some forms of ADHD while aggravating others. Though those with Classic ADHD can often diagnose themselves as they fall into the ‘typical’ range of symptoms, those with others types of less common ADHD may have trouble realizing they suffer from the disorder. Whether or not you have successfully self-diagnosed your condition, it’s important that you see a medical professional who has experience recognizing and treating the disorder. It’s also important that the professional works with adult ADHD as the condition can look much different in adults than in children and needs to be treated correctly. If you have been living with adult ADHD, you may have been told for years that you’re lazy, lack motivation, or even have a learning disability. Recognizing that you may suffer from one of the many forms of ADHD can come as a huge relief to those who thought it was ‘just them’ and that they just needed to ‘try harder’. 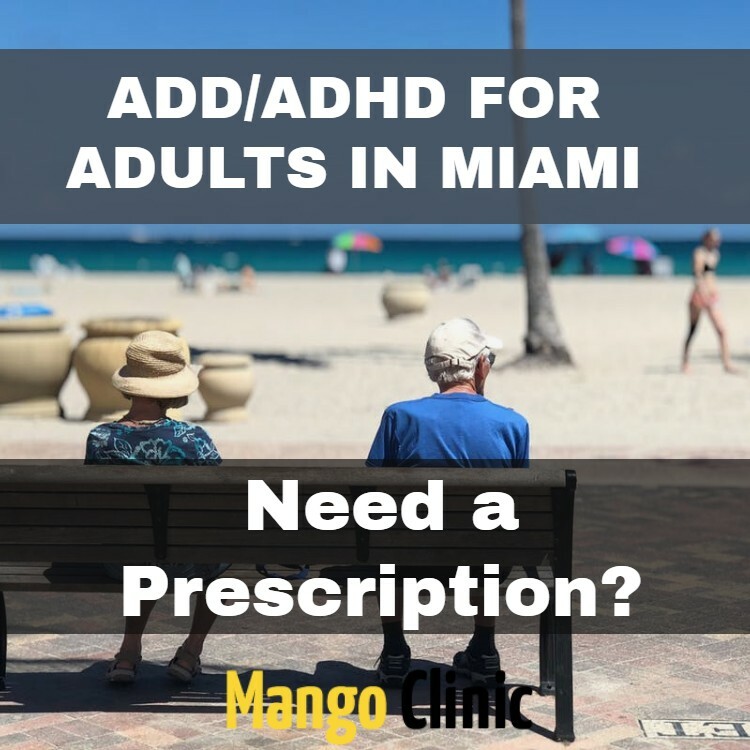 If you believe you may suffer from ADHD, please call our Miami clinic at (305) 776-2898 to schedule an appointment.